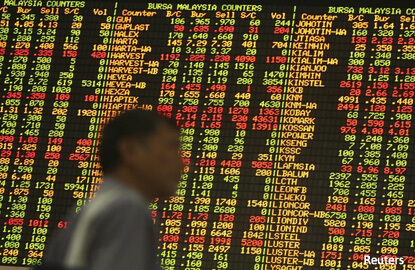 (March 14): Most Southeast Asian stock markets closed higher amid thin trading on Tuesday, but concerns that the US Federal Reserve would announce a hike in interest rates, as widely expected, after a two-day policy meeting kept investor sentiment cautious. Fed Chair Janet Yellen has already signalled that the US central bank would likely increase rates at its March 14–15 meeting. "There is a lot of uncertainty at the moment, which is what's holding back the positions of most markets," said Manny Cruz, an analyst at Manila based Asiasec Equities Inc.
Indonesian shares closed at a four-month high, led by telecom and financial stocks. PT Telekomunikasi Indonesia closed at a four month high, while Bank Central Asia ended 0.8% higher. "The construction sector improved from a year ago, which boosted sentiment in Indonesia," said Cruz. An index of the 45 most liquid stocks closed 0.4% higher. Coal miner TB Bukit Asam was up 3.9%, while highways operator PT Jasa Marga closed 2.7% higher. Vietnam closed 0.6% higher, with consumer staples and industrials gaining the most. Saigon Beer Alcohol Beverage Co was up 3.4%, while FLC Faros Construction hit a record high. Philippines largely held on to gains from earlier in the session, led by industrials. International Container Terminal Services closed at a more than five month high. Singapore closed slightly lower, with consumer staples and real estate stocks dragging the index down. Thai Beverage closed 1.6% lower, while property developer City Developments was down 1.8%. In Asia, MSCI's broadest index of Asia-Pacific shares outside Japan was up 0.3% as of 0940 GMT.